← A Day At The Museum. 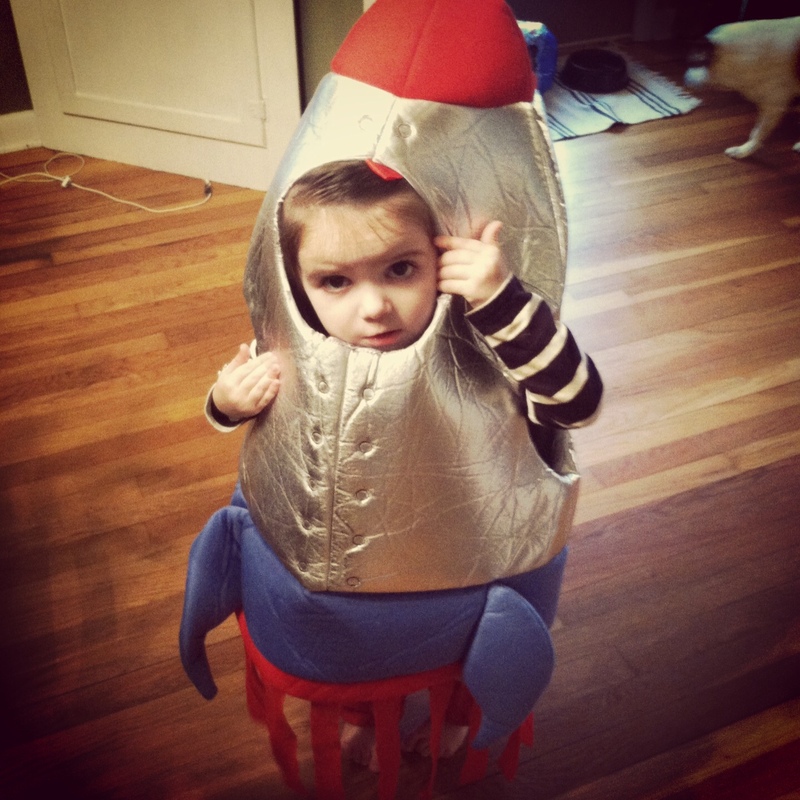 I love that I took you downstairs with me so I could get dressed, and you insisted on coming back up as a rocket. Your fashion sense never ceases to amaze me these days. I’m only surprised you didn’t want to wear this to go pick up Tom from school. Today, you insisted on wearing a Sofia the First dress up skirt to the Dollar Tree. You were (as always) the best dressed person there. Thank you for insisting on getting an orange pig dog toy while we were there. I told you it was a dog toy, and you said, “For Huck?” and then proceeded to put it on the check out counter. You held it the whole way home. And as soon as we walked in the door, you gave your most treasured possession of the last 20 minutes to Huck. He didn’t like it. But you still do. And I’m so happy that orange pig dog toy now has you to love it. You’re the sweetest rocket ship I’ve ever known.